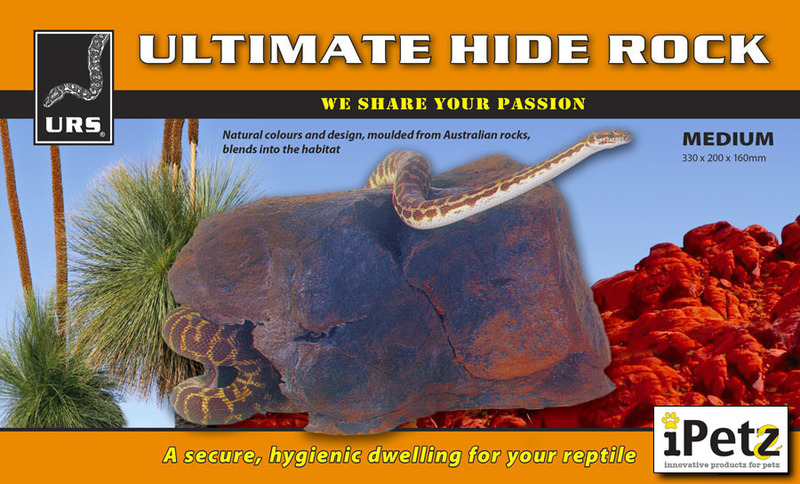 A natural realistic looking Medium Hide Rock that enables animals to retreat in an enclosure. This hide rock will also help animals get closer to the heat source for basking. MEDIUM Size = L 330 x W 200 x H 160mm.